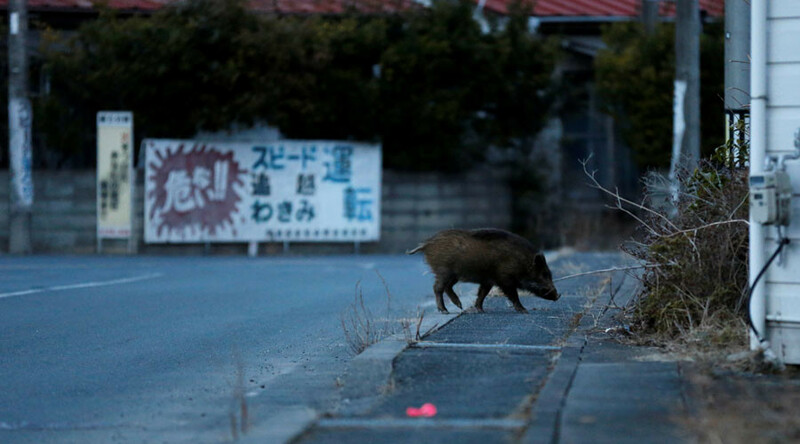 Wild boars that took over Japanese towns vacated after the Fukushima disaster are being culled as officials attempt to re-inhabit areas affected by the nuclear fall-out. The animals moved into towns made inhospitable to humans by high levels of radiation. 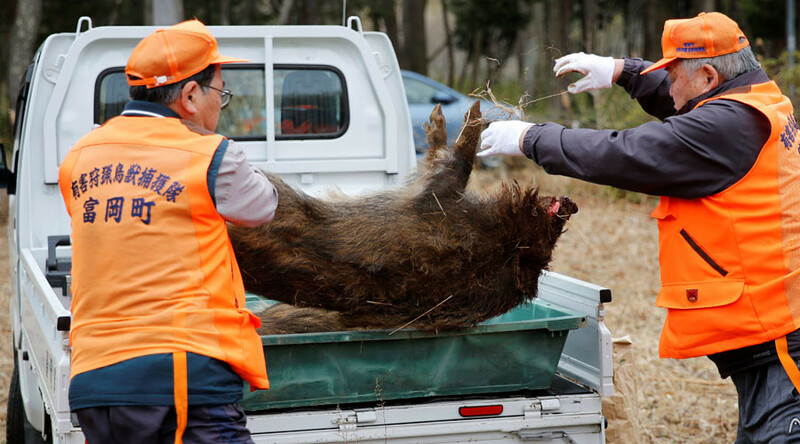 "It is not really clear now which is the master of the town, people or wild boars," Mayor of Namie Tamotsu Baba told Reuters. "If we don't get rid of them and turn this into a human-led town, the situation will get even wilder and uninhabitable." The town of Namie, located 4km (2.5 miles) from the Fukushima power plant, is scheduled to see residents return at the end of March. More than half of the 21,500 former residents have decided not to return, citing concerns over radiation and the safety of ongoing operations at the nuclear plant, which is currently being decommissioned. Baba warned that if people don’t return to the town soon it is at risk of going “completely out of existence." The boars, who ventured into the town when it became uninhabited, have caused concern for those returning. Hundreds are believed to be in the town and have been known to become vicious with humans. 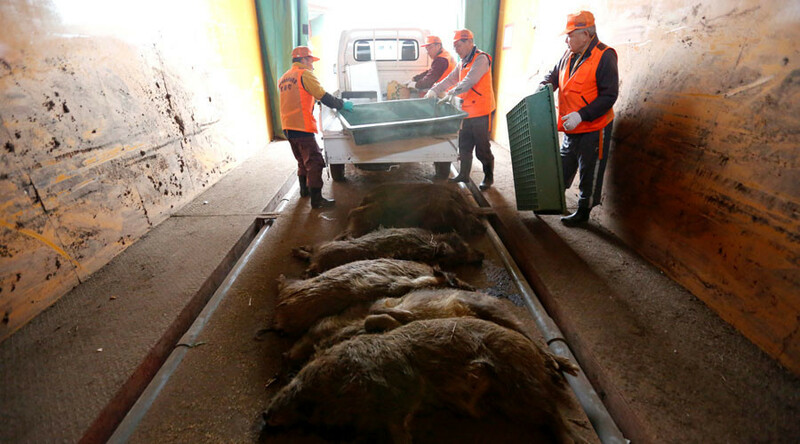 In Namie and Tomioka, another town scheduled to soon see evacuation orders lifted, animal control officers have been culling the animals, using rice as bait to trap them before their bodies are disposed of using bacteria. 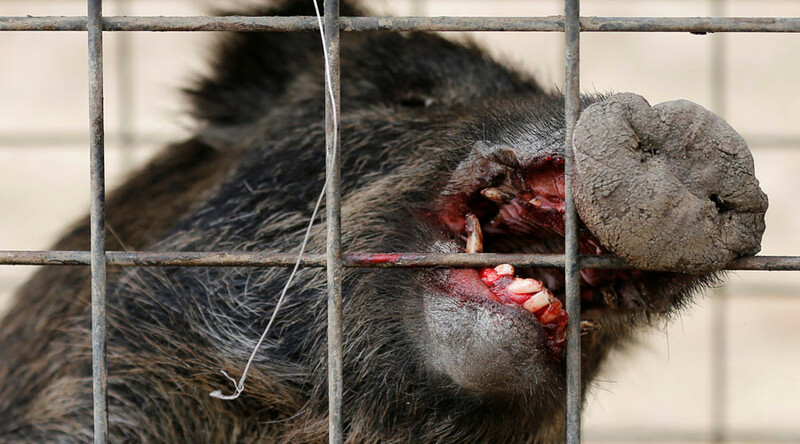 Since last April 300 boars have been trapped in operations that occur twice a week. The culling is planned to continue even after resident return to the towns. 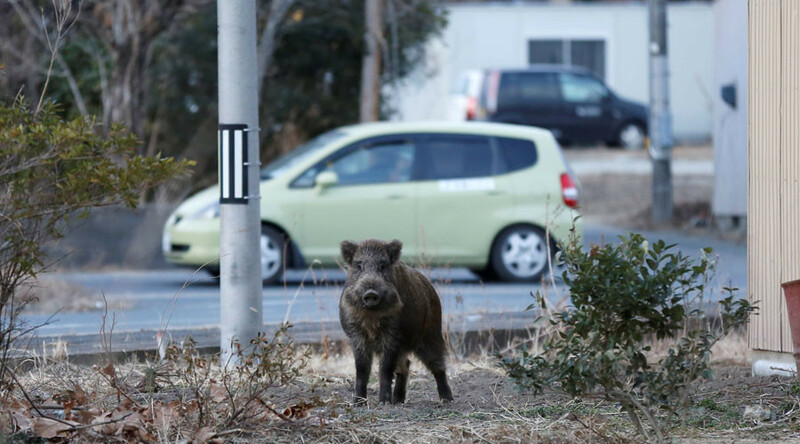 "Wild boars in this town are not scared of people these days," boar hunter Shoichiro Sakamoto said. "They stare squarely at us as if saying, 'What in the world are you doing?' It's like our town has fallen under wild boars' control."